We have been in Corona since 1979. Our business is a second generation family owned business. 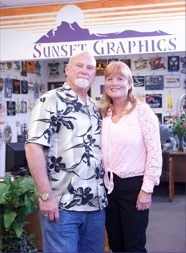 Sunset Graphics started as a side business out of Jim & Earlene’s garage until they outgrew it. In 1985, we moved to the store location where we still remain today. In 1987, the embroidery department was added. In January 2007, Jim & Earlene’s daughter Mindy and her husband Kirk took over the business to help keep the service level at its peak as we experience growth thanks to our loyal customers. Mindy runs the day to day operations while Kirk handles business behind the scenes. Please stop by, call, fax or e-mail us. We can’t wait to earn your business! Sharon is the Office Manager at Sunset. She has been with us since 2000. Sharon has been married to Tate for 38 years and her nine grandchildren are her pride and joy! She has been a Corona resident for 27 years. She is very patient with customers and goes over every detail of your order and artwork to make sure you are comfortable. 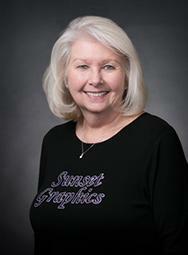 Also she is a specialist at both ordering custom patches and even can sew them on your apparel. Come in and meet with us! 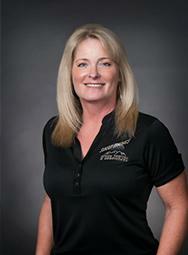 Mindy F. has been a Customer Service Representative since 2007. She is married to Robert and has two beautiful teenage daughters. She is also a delivery girl and will drop off orders on her way home. She is the Beach Body Coach for the Sunset crew! 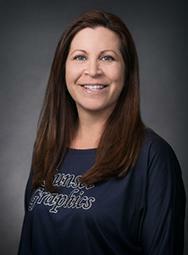 She loves to paddleboard, snowboard, wakeboard and keeps our team fit! Wes traded up from another company in 1990 and decided to work at Sunset. He is the head screen printer and foreman of the shop. He has printed on just about every type of garment. 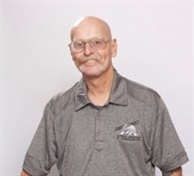 He enjoys listening to old CD’s while working and he is not shy about singing a tune with his booming voice in the back room. 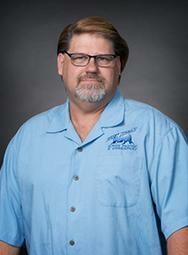 Ron is a life-long Corona resident and has been with Sunset since 1994. He is an expert screen printer. He is always the first one to work. He is the “go to” for everything, our handyman and will do anything asked of him. He keeps us on our toes and has a knack for remembering old logos and artwork and always seems to be able to locate them.